A set screw or grub screw is generally a headless screw but can be any screw used to fix a rotating part to a shaft. The set screw is driven through a threaded hole in the rotating part until it is tight against the shaft. The most often used type is the socket set screw, which is tightened or loosened with a hex key. We offer clients a wide range of Nylock Nuts. Widely used in various industries, these come with nylon insert that prevents the nuts from working loose. Further, designed and manufactured using quality stainless steel, these can also be fabricated as per the industry standards. Manufacturing of SS310 Fasteners like Bolts and Nuts. Manufacturing Stainless Steel Round head slotted bolts / screws in all sizes and grades like SS304, SS316 etc. Backed by a rich domain expertise, we are one of the most prominent manufacturers and suppliers of an extensive range of Stainless Steel Hex Bolts, Stainless Steel Allen Cap Bolts, SS Eye Bolts, Stainless Steel U – Bolts, etc.These are highly appreciated for their features like high tensile strength, accurate dimensions and corrosion resistance. We can also customize these bolts according to the given specifications by our customers. Moreover, widely used in Construction and Engineering Industries, these are available at industry leading prices. Available in various Dimensions, Diameters, Lengths and grades, the range of Stainless Steel Nuts is offered at Industry leading prices. Our diverse range of faster offered by us is of premium quality and is fabricated using quality raw material.Our teams of experts make sure that these raw materials are procured from certified vendors who can be trusted in terms of quality.We are engaged in offering a range of SS Studs that are made using high graded stainless steel. We are one of the distinguished manufacturers of stainless steel studs that are in compliance with international standards. These studs have functional designs and threads to meet the requirements of the clients. The studs are manufactured using stainless steel. We are engaged in manufacturing a wide range of SS Balls by using premium quality raw material. More over we offer this range in various sizes and diameters as per the clients demand. A special kind of mirror polish is given to leave the product free from blemishes. 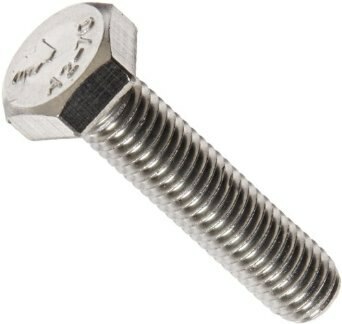 The stainless steel u- bolts are offered in various prints and sizes to match the clients needs. These bolts are manufactured using high quality material to ensure their high performance and efficiency. Due to their user friendly features, these are widely used in automobile industries. We ensure to check their quality before offering to the clients at the competitive prices. Our customers can purchase from us a quality range of Stainless Steel Eye Bolts that finds wide applications in Switchgear and Automobile Industries. Available in different shapes, sizes and dimensions, we can custom design our offered range of eye bolts as per the client specific requirement. These bolts are preferred by our customers for durability, corrosion resistant and high temperature tolerance. We can also custom manufacture these bolts as per the specific requirements of our customers.